Nothing really, just post a list in the Trading Post and for your first sale people will probably want to make payment second or use recorded delivery or whatever, there's loads of people with 100+ trades you can trust. But you seem like a super sound G.
Green Gecko wrote: Sounds like a perfect start to a collection... let us know if there's anything you don't want. Will do! What's the rules on me advertising stuff for sale on my mates behalf? He's got until the new year to find a home for his collection but he wants to sell to groups as he wants it to go to a good home and not just sold off. I'd definitely be keen to find out what kind of price he's looking for / what the games are. Sure, it's midweek... but the Retro Club Weekender is nothing if not flexible, so here's a little extra for you to enjoy! As you know, I'm fairly ancient and back in the 80s my favourite gaming system was the Commodore 64 computer. I loved playing on that and my way of hearing about new and upcoming games was to read videogame magazines... of which my preferred one was the legendary Zzap! 64. Anyway, earlier this year a Kickstarter project was initiated to produce a new Zzap! 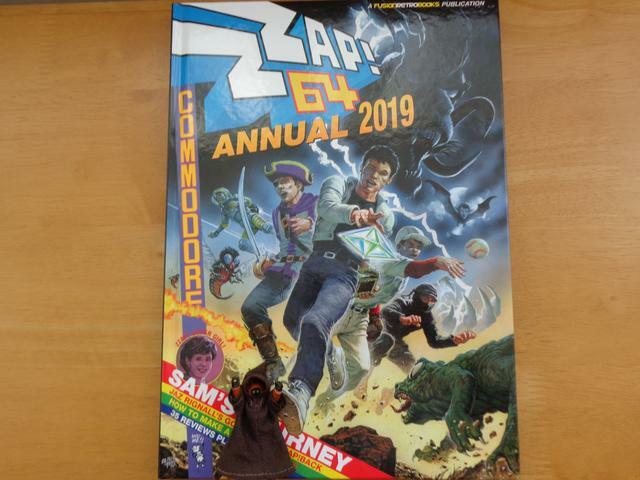 64 annual for 2019. Oh boy was I excited... I used to get the mag every month and now this would be the first time I had bought a new edition since the late 80s! The Kickstarter project was a huge success and today the annual arrived! 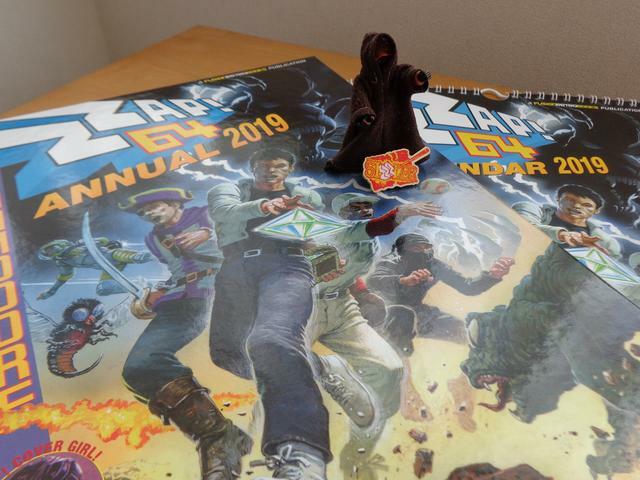 The package contained the annual, a 2019 calendar and a "SiZZler" metal badge! Check out Oliver Frey's superb cover artwork! Frey was the artist on the original magazine and he has created so many stunning pieces of artwork over the years. 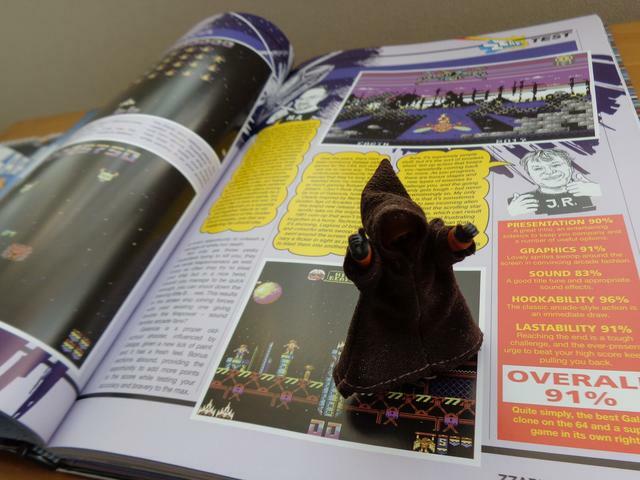 I am incredibly excited to read folk like industry legend Jaz Rignall review all the latest C64 games (yes, they're still being made!). It is a delight to own this badge. A "Zzap! SiZZler" was an award for games that scored around 85 to 93% in Zzap! magazine reviews. Games scoring 94% and upwards were awarded a Zzap! Gold Medal. I *think*, amyway... I need to check those marks . 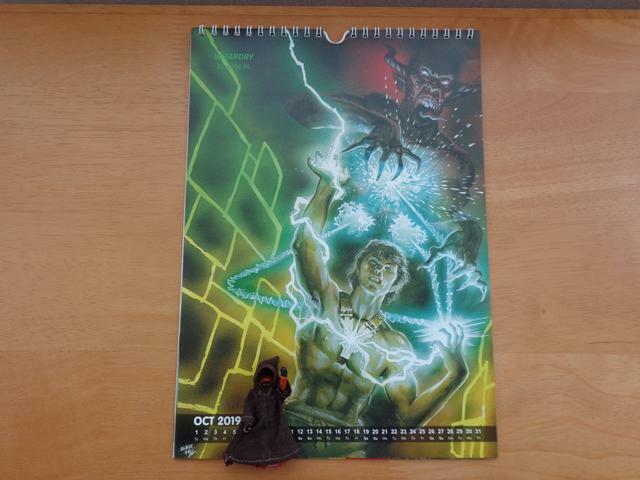 The calendar containts prints of some of Oliver Frey's original Zzap! cover artwork from the late 80s and early 90s. It's a real pleasure to have this package arrive and I'm really looking forward to reading through it all! So... as we roll into the weekend, is your mind turning to thoughts about sharing a pic or two of your retro gaming goodness? Remember, it doesn't have to be a sealed copy collection or a full set... sharing any retro gaming gear that you like would be more than cool enough :-). jawafour wrote: So... as we roll into the weekend, is your mind turning to thoughts about sharing a pic or two of your retro gaming goodness? Remember, it doesn't have to be a sealed copy collection or a full set... sharing any retro gaming gear that you like would be more than cool enough . I got something I plan to show! It's retro but it's not at the same time... Really cool though. All will be revealed tomorrow! The Doom Spoon wrote: I got something I plan to show! It's retro but it's not at the same time... Really cool though. All will be revealed tomorrow! "I'm excited! ", DS! Nice one... I'll post something during tomorrow, too :-). I got that feeling... the vibe is creeping up on me... it's Saturday... lets get retro! Just a few PC classics from a series that my wife introduced me to when we first met. Last edited by Gemini73 on Sat Oct 06, 2018 1:54 pm, edited 1 time in total. Ooh! It's great to see some real retro stuff, Gem... Mrs Gemini has magnificent taste! I've never played a Might & Magic title but I know that the series was huge back in the day. It's interesting to note that the later two titles shown are published by 3DO; I had kinda forgot that they - briefly - became a publisher after their attempts to break into the hardware market. Last edited by jawafour on Sat Oct 06, 2018 11:32 am, edited 1 time in total. This weekend we're gonna break out the goliath powerhouse from 2002... welcome, Xbox! It's loud, brash and chunky... and it had a remarkably good gaming library. 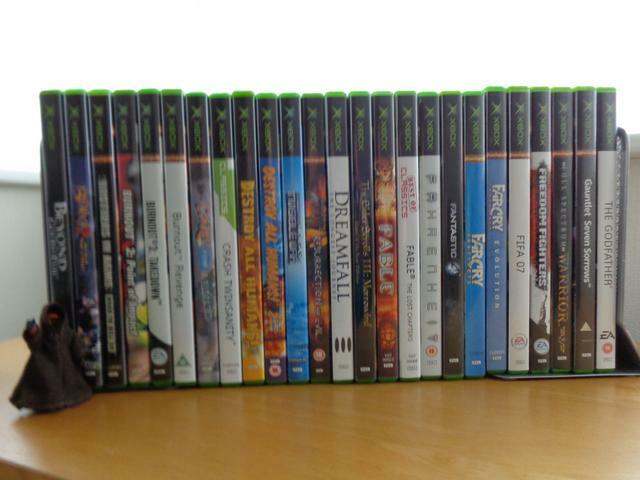 Most of my pals and work colleagues had migrated to PS2 by the time of the Xbox arrival. I had stuck with my PS1 since it launched back in 1995 but the Xbox had gotten me excited and, swooshing past the PS2 and GameCube, I picked up the new translucent green Xbox in May 2003. Boy, it felt powerful! An actual hard drive in a games console! Loading up Splinter Cell and seeing the god rays shining through the warehouse was an astounding moment. 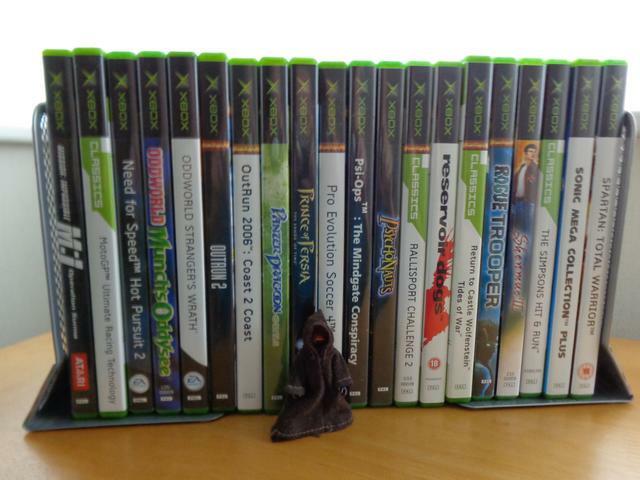 In the subsequent years I gradually expanded my game collection, particularly during 2005 and 2006 when the 360 had launched and original Xbox games gained some huge price reductions. Time may have blurred the polygons of original Xbox games but most remain fun to play. Lets take a look! Can you spot the oddity here? Clue... something is missing... FORE! 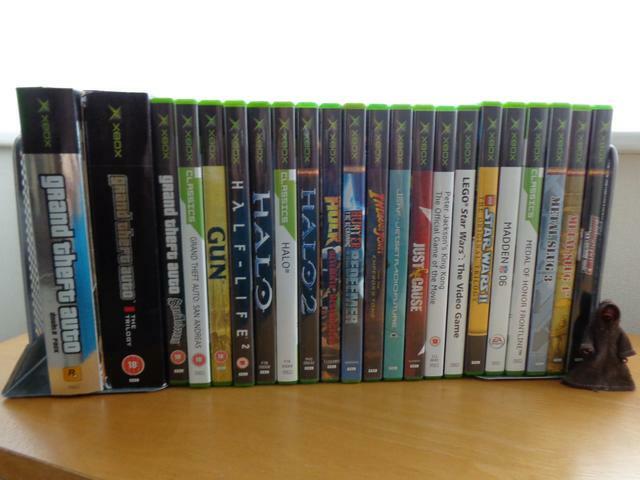 Tiger Woods 2004 doesn't have the Xbox logo on the spine... I wonder if this printing error was corrected or if they're all like this? 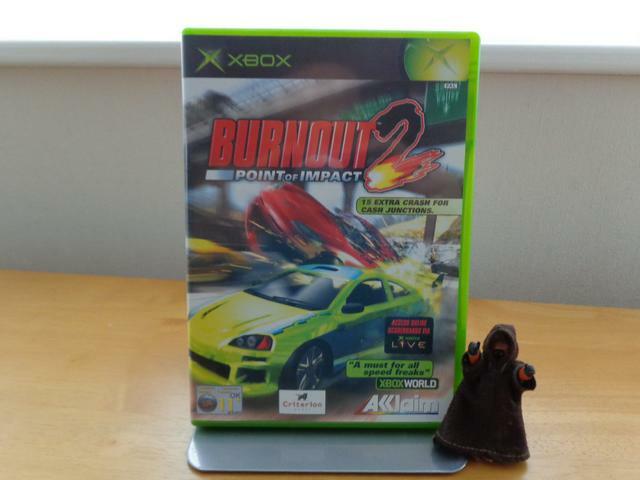 Burnout 2 was the first title that I picked up for my Xbox... and I loved it! I much preferred playing the Crash Zone mode rather than the main racing game; the rush of race-crash-damage score was incredibly addictive. I like the style and sound of the game; it fits together so well. Everyone has a different opinion on their favourite Burnout game but for me, 2 remains the ultimate version! Stubbs the Zombie: Rebel Without A Pulse gained fame for being produced using the Halo game engine and it's a funny, unusual game. 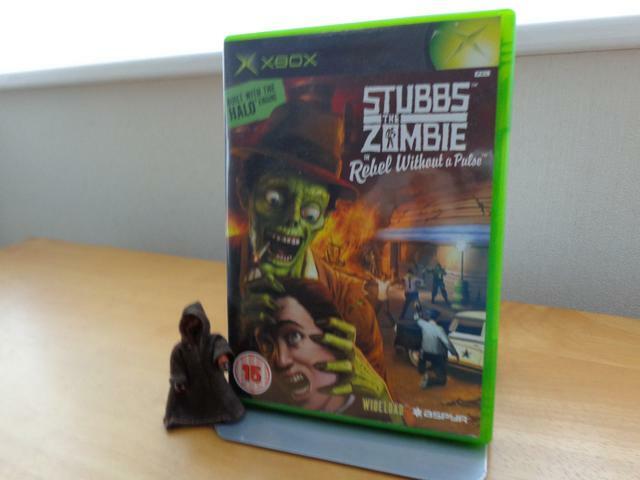 Few Xbox games are "rare" or "valuable" but Stubbs is one of those that remains quite sought after. Oh boy, this is Sega at their best! The attraction sequence - visually and aurally - is just sensational. Understand, understand! Understand, understand! Understand, understand... the concept of love! Jet Set Radio Future is a real gaming rush. That's why I'm break-dancing in this picture ... . 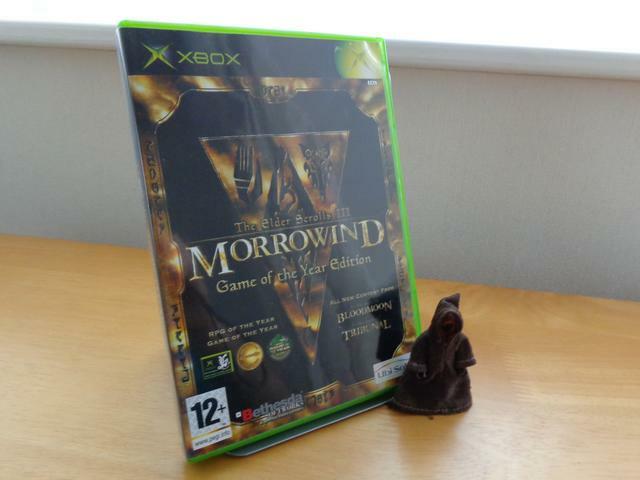 It was incredible to see a role-playing game as vast and detailed as The Elder Scrolls: Morrowind on a console. This Game of the Year edition also included the DLC that was available. 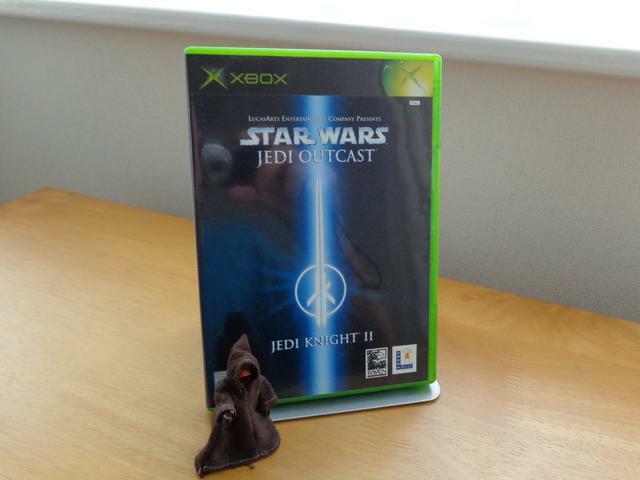 I had played Star Wars: Jedi Knight II: Jedi Outcast on the PC but, having got the Xbox, I wanted to play it on that, too. This version is a decent port; not quite up to the PC standard but still swift and fun. It remains one of my favourite Star Wars games! 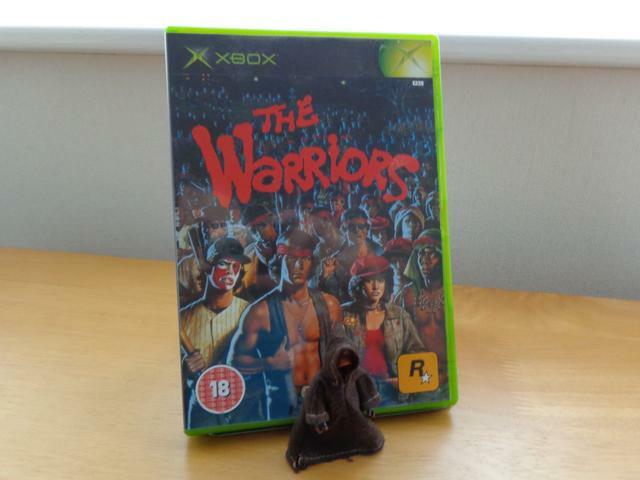 The Warriors was a later release for the Xbox and it stands out for having graphics and sound that is faithful to the style of the film. It's quite ambitious in terms of the number of large characters on-screen and it remains an unusal title in Rockstar's gaming credits. I hope you enjoyed this look back at the mighty Xbox. In a future Weekender I may share a few pics of the hardware... so size! Much lush! jawafour wrote: I got that feeling... the vibe is creeping up on me... it's Saturday... lets get retro! So here's what I got to show off this weekend! Been after one of these for a while, this is the 8Bitdo SF30 Pro. So I bought it mainly for using with my phone or laptop for emulation but it also works as a pro controller with the Switch. It has rumble and motion controls plus has shoulder and trigger buttons on the top. 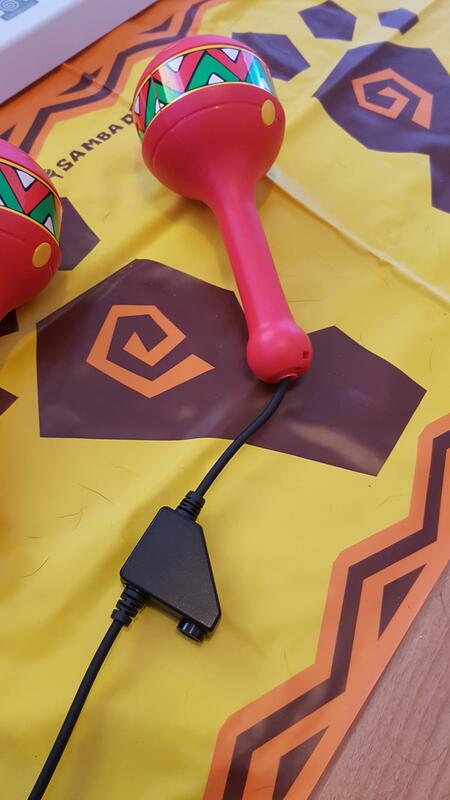 It's exactly the same size as a standard SNES controller and just a bit heavier what with the extra features. I think this one of the the coolest looking controllers out there! The thumb sticks feel really good, very responsive and have a nice bit of resistance to them to give you plenty of control. So yea thought this would be a nice little addition to the Retro Weekenders even though it's not quite retro?! Ah! This looks great, Doom Spoon... I was looking at, and reading about, the 8Bitdo pad and it's cool to know that it's a good 'un. 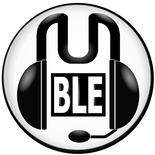 Being able to use it across several of your gaming systems must be very useful. It seems to be quite popular because I have seen several colour variants, too. Thanks for sharing, dude! How does one of those controllers compare to a Switch Pro controller then? Easy to set up for the Switch? I've been on the fence about one for a while but I'm happy with the joycons/grip and the pro controllers are about £55, do these undercut them on the price front as well? jawafour wrote: Ah! This looks great, Doom Spoon... I was looking at, and reading about, the 8Bitdo pad and it's cool to know that it's a good 'un. Being able to use it across several of your gaming systems must be very useful. It seems to be quite popular because I have seen several colour variants, too. Thanks for sharing, dude! Yea they have a US coloured version plus they've just released a DMG Gameboy colour variant plus they have loads of other types and style of pads. They've have become very popular recently! I loved your post about your Xbox stuff too! Love to hear the little stories people have about when they picked up their games and consoles back in the day. Makes me go all nostalgic I wasn't really super aware of the Xbox at first. I was so so excited about getting a Gamecube for my 11th birthday (which was only 10 days after the release of the console) that nothing else was close to being on my radar. Yep was no good at it when I was a kid and I'm still no good now! So in terms of price I paid a few pennies under £40 from Amazon with prime delivery. After using it for a week or so I can say that it took about an hour of playing of using it to get used to the layout (I usually use a pro controller when at home). I am so used to the "Xbox" style layout that I had to retrain my muscle memory but didn't take too long to sort out. Very comfortable in the hand but again takes a bit of getting used to is your used to playing with modern controllers. If you're used to switching back and for between pads then it won't be a problem. So as I said it does have rumble and motion controls. It's standard rumble and not HD like in the pro controller, I wouldn't say it's a deal breaker, it's nice to have but I don't miss not having it especially when I'm used to switching to an Xbox One pad anyway. Motion works just as well as a pro controller too. The pro controller does have the advantage over the 8Bitdo in a couple of areas. There's no Amibo support (no issues for me as I don't own any), You cant wake the switch up using the 8Bitdo like you can with the pro, and syncing up is a little less straightforward. It's not difficult by no means there's just an extra step in the process as you have to put the 8Bitdo into Switch mode using a simple button combo. Only other thing really is battery life is about 16 hours of play time compared to the 40+ hours you can get out of the pro. Still, 16 hours is plenty and only takes about an hour and a half to charge fully from empty. It uses USB-C for charging so you can use it with a pro controller cable but there is a rather nice one provided with the pad anyway. Hope that helps and sorry for the long reply! Oh yeah it's very useful being able to switch between my switch and phone with the 8bitdo. I wish the dpad was a little less floaty on mine but that's something they may have improved in newer batches (can sometimes register diagonals by mistake). But it's fantastic for travel. I still have my original Xbox, but the disc drive is knackered and I couldn't be arsed to get inside and try a repair. 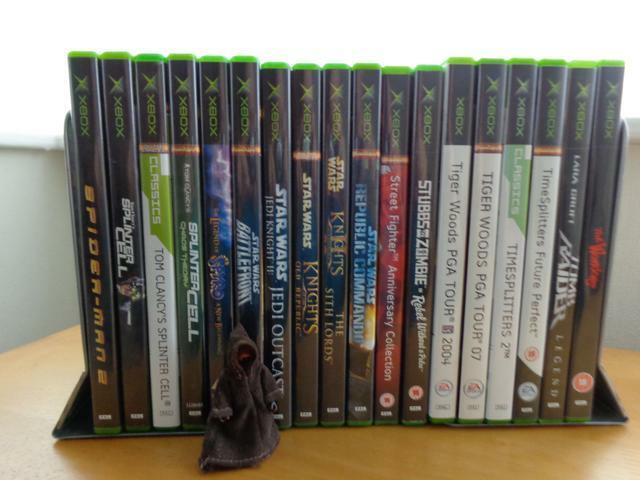 Sold all my Xbox games a while back. The HDD is cramped full of emulators and roms so that's the consoles main purpose now. jawafour wrote: This weekend we're gonna break out the goliath powerhouse from 2002... welcome, Xbox! It's loud, brash and chunky... and it had a remarkably good gaming library. 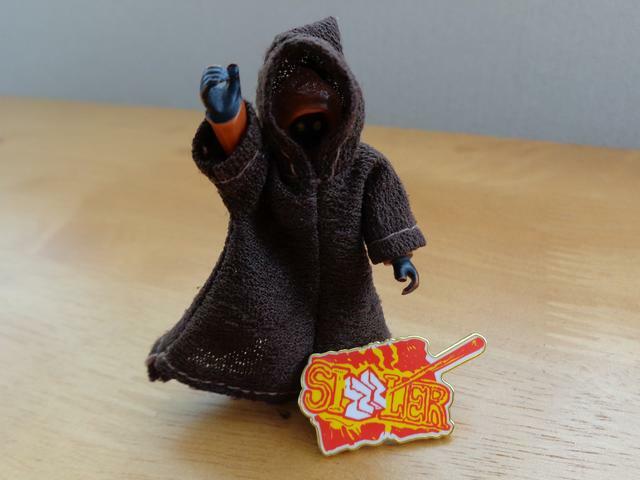 Gemini73 wrote: ...Great collection though, Jawa. Thanks very much, guys! Yeah, it's sometimes nice to get a little bit of context around the purchases, Doom. 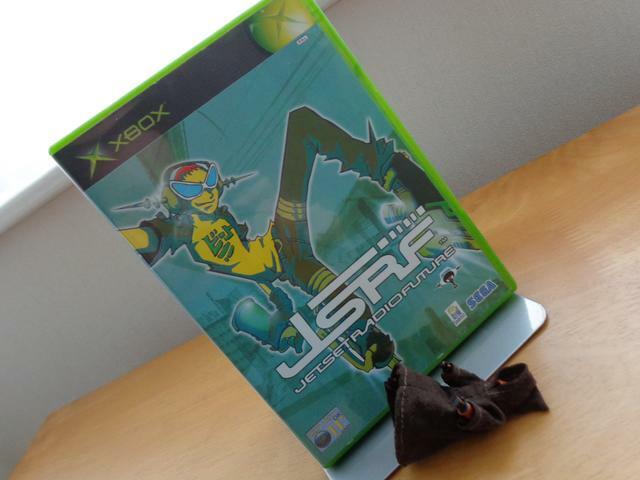 Yes, JSRF is a bit of a classic, Jazzem - certainly something that could look (and sound) fantastic on modern machines! Haha, I actually thought of Matt's Dreamfall play-through when I prepared that shot... good spot! Spidey 2 was (is) ace; the swing mechanic still feels neat. Here are the official maracas. 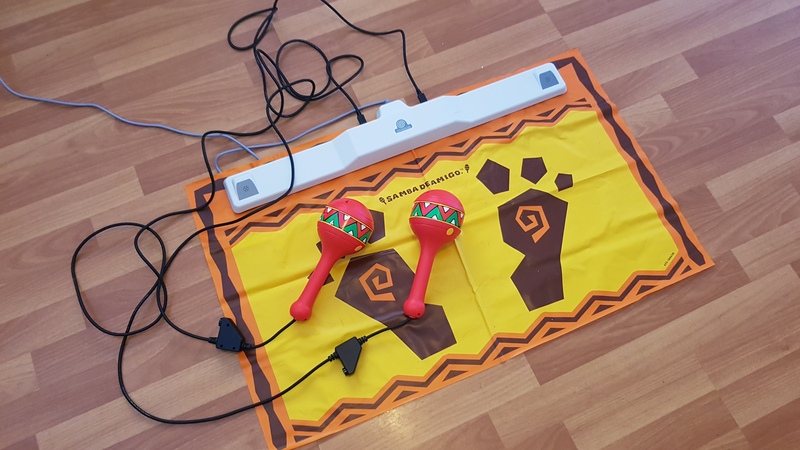 They're the Japanese imported ones but the only difference is the packaging, the maracas themselves are identical to the UK ones. Please excuse the dog hair. The game itself is still so good, it hasn't aged a day. 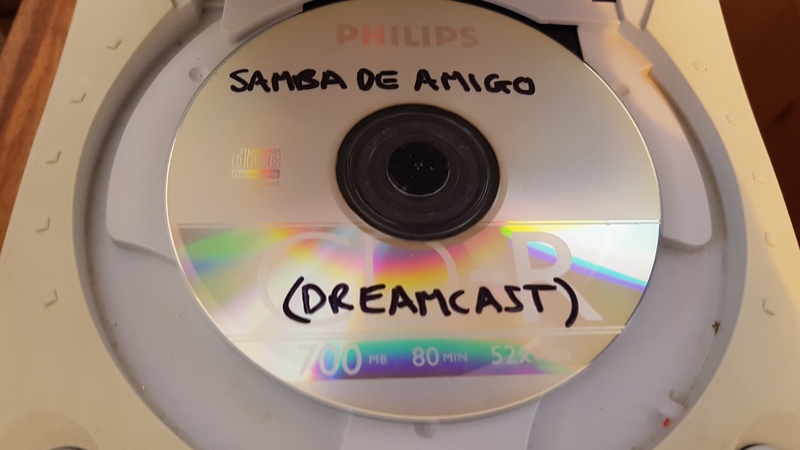 So easy to forget just how old it is, with only the maracas being wired and a little bit inconsistent reminding you of that.